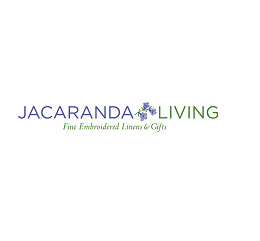 Christmas Traditions Begin with Jacaranda Living – Start Yours This Year! While superhero and princess inspired pjs are great for the little ones, consider our comfortable Kelsey Pajamas for the ladies of the household. Finish the outfit with our sweet scuffy slippers embroidered for the season with wreaths, snowflakes, and even a Christmas Tree! We’ve got 10 Holiday designs to give our slippers a true Christmas Eve touch. Sweet Twelve Days of Christmas embroidery options for slippers! And don’t forget robes! Light cotton or cozy waffle or willow weave with satin trim. Robes from Jacaranda Living are the perfect Reindeer Gift and will be used all year long. Cookie Traditions – Making Holiday Cookies Can Be an Annual Event! And speaking of cookies for Santa, why not make Christmas cookies a tradition? Whether yours are a family tradition, like Pizzelle, pfeffernusse, or pepperkakor, making the perfect Christmas cookie takes time and can become a fun competition each year with other family and friends. Who has the best cookie? Sites like allrecipe.com and bettycrocker.com have 100’s of recipes to choose from if your family doesn’t already have a favorite. Ours would be this recipe for Soetkoekies (sweet cookies) from South Africa which can be found on food.com. Yield: 80-90 cookies. The dough should be rolled out really thinly — about 1/6th of an inch — to get a crispy cookie. In a large container mix first eight ingredients very well. Cut in the butter and Crisco/fat with your hands until the mixture resembles breadcrumbs. Whisk the eggs, add just 1/2 cup sweet wine to the eggs, then stir into the dry mixture until well-blended. Add more wine sparingly if too dry. Mix until it forms a fairly stiff dough. The dough should be easy to handle. Remove dough from bowl, kneading until smooth, then, on a floured surface, roll out to a thin sheet (1/6th of an inch). This will need to be done in batches. Using your favorite holiday cookie cutters, cut cookies and place carefully on the greased sheets. Bake in batches in the preheated oven. Use the center rack in the oven, as cookies burn easily on the bottom, especially if you use dark sheets. Check cookies after 5 minutes being careful not to let them burn. Cooking time can vary depending on oven and size of cookie but is usually about 7 minutes. Remove with a spatula, and let cool on wire racks. Store in airtight containers. Can be made and stored weeks in advance. There are so many recipes for holiday cookies, and so many different ways to make them your own. Make the search for this year’s recipe part of your holiday fun! Have young chefs in the household? Consider Kiddie and Ladies Aprons from Jacaranda as a pre-holiday gift to help everyone get in the mood. Many households celebrate both Christmas Eve and Christmas Day, and it can get pretty hectic preparing two celebrations with food, dishes, planning, and cleaning up! Why not make Christmas Eve the time to get takeout. Whether you go Chinese, Mexican, hearty soups and fresh baked bread, or try something entirely new, researching menus, and deciding what you’ll share this year can become an annual ritual in the weeks leading up to the big day. Whatever you do for the holidays, make sure to enjoy the time together with family and friends. Life is stressful and at busy times, when to-do lists seem endless, it can be easy to forget the reason for the holiday, and get overwhelmed with making certain everything is perfect. Give yourself a chance to sit, relax, and savor those you love. It’ll give you a chance to breathe, and to create memories that will sweeten over the years. Get your orders in now for the holidays! At Jacaranda Living we’d love to help create your Christmas Traditions and make your holidays a time to remember. Get your order in now while there is still plenty of time to embroider and ship your gifts wherever you’ll be celebrating this year! Next Next post: Duvet or Comforter, What’s the Difference?